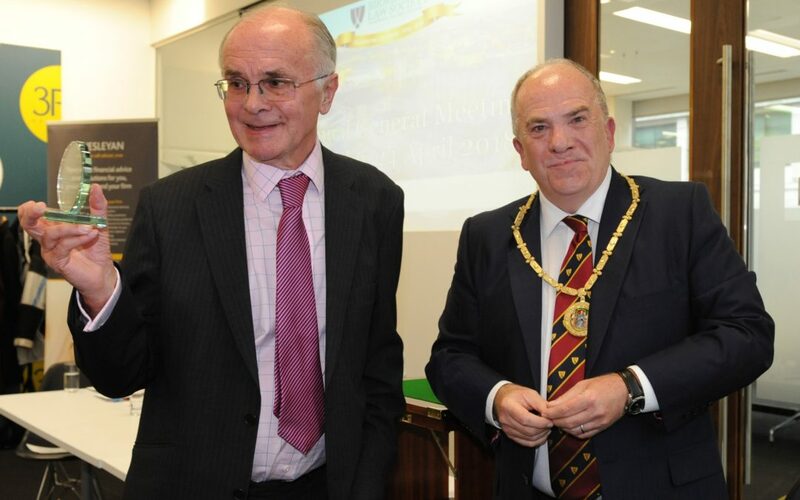 In 2018 John Burn celebrated the 50th anniversary of qualification as a solicitor. This achievement was marked by presentations to him from both the Law Society and the Birmingham Law Society. John joined Silks in 1962 and over the years he became well known in the Midlands legal circle, particularly in the courts in Sandwell, Dudley, Wolverhampton and Birmingham. He was a skilful, courteous and most effective advocate. During the course of his career, John developed a highly successful employment practice and travelled throughout England and Wales, appearing in Employment Tribunals representing his many clients. Latterly, John has been concentrating on his Child Care work in which his approach to advocacy, his clients, opponents and to court staff was recognised and appreciated by all. John was a partner of Silks Solicitors from 1970 and he was the Senior Partner between 2003 and 2010, at which point he became a Consultant to the Firm. He was hugely popular within the office – totally unflappable and always available to help his colleagues, however time-consuming the problem may have been. In addition to his very significant contribution to the firm, John was a trustee of local charities and contributed to the wellbeing of the local community. John retired as a Consultant at the end of October 2018. As a firm, we will miss him greatly but we recognise that he should have time to spend more time with his family and to enjoy all his interests, particularly sport. Congratulations John and thank you for all that you have done for so many.